“Species” is a study in evolution by Fredrikson Stallard through the media of furniture design, created with a brute force that is at odds with ideas of comfort or human contact, yet so inviting by the nature of its materials. 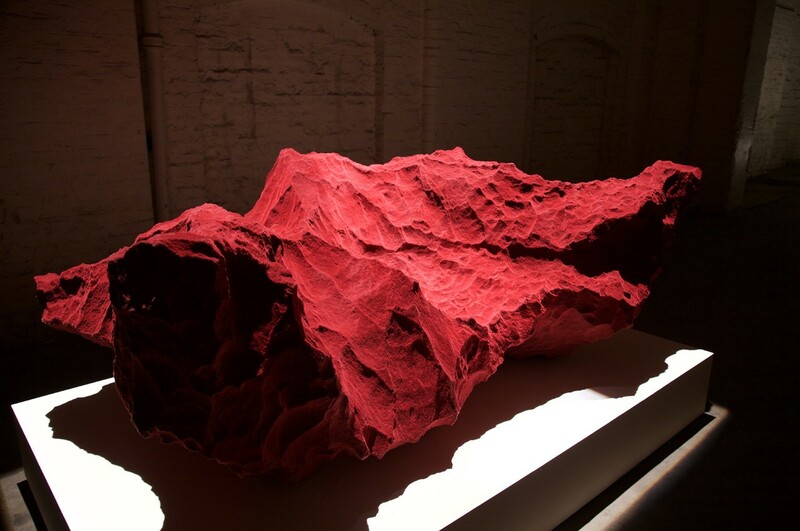 The pieces are amorphous structures, elements of sculpted mass, chaotic energy, finished in shades of red, as for Fredrikson Stallard these are the colours of life and death. Something along the lines of – “It couldn’t happen here, but then it did”. This is very much furniture, but not as we know it. Species was created for Momentum an exhibition by Fredrikson Stallard held during London Design Festival 2015 – ‘Momentum’ is a celebration of the experimental and the rigorous, the unique versus the mass produced, the importance of conceptual and creative development underlining the artists aesthetics and beliefs. But Momentum is also an anniversary of ten incredible and engaging years of working with visionary patrons and craftspeople all of whom have helped facilitate the development of true creativity into extraordinary works, and this show acts as a personal interlude towards future destinations. © 2019 Copyright Fredrikson Stallard. All material on this website (the “Site”), and the Site itself, are protected by copyrights, trademarks and/or other intellectual property rights. These materials are owned by FREDRIKSON STALLARD or its subsidiaries or to be used with permission of their owners. Such materials include, but are not limited to, the photographs, images, illustrations, text, video clips, audio clips, designs, logos, trademarks and other materials contained in this Site, as well as the software used in the design and development of this Site. All rights reserved, worldwide. The name FREDRIKSON STALLARD, PATRIK FREDRIKSON, IAN STALLARD, the logos, and all other related marks depicted on this Site, whether registered or unregistered, are trademarks or service marks of FREDRIKSON STALLARD’s designs. The materials contained in this Site are displayed for informational and promotional purposes only. This Site is solely for private, personal, and non commercial use. You may download or copy materials in this Site solely for your personal non-commercial use. You do not obtain any right, title or interest in any material or software as a result of any such downloading or copying. You may not reproduce (except for your personal non-commercial use), publish, transmit, distribute, display, remove, delete, add to, otherwise modify, create derivative works from, sell or participate in any sale of, this Site, any of the materials on this Site, including reproduction for purposes other that your personal non-commercial use, modification, distribution or republication, without the prior express written permission of FREDRIKSON STALLARD, is strictly prohibited.